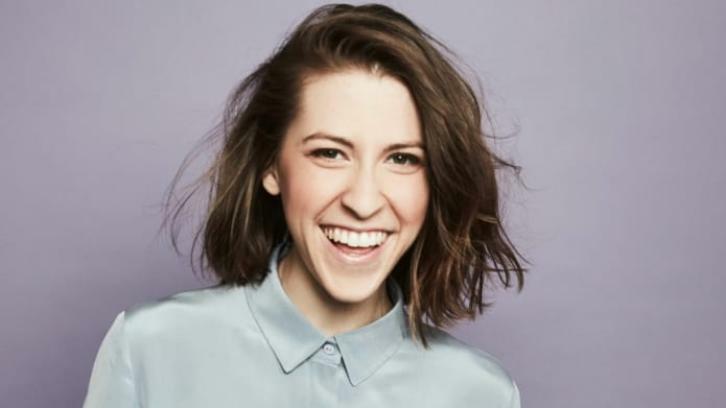 Deadline is confirming that ABC has given a pilot production commitment to The Middle Spinoff starring Eden Sher. Written by Heisler and Heline, the half-hour single-camera comedy follows the twentysomething adventures of eternal optimist Sue Heck (Sher) as she leaves the small town of Orson to navigate the ups and downs of a career and young adulthood in the big city of Chicago. Thanks to KaCee for the heads up. Update: Per TVLine's SDCC exclusive, Eden Sher, has revealed that ABC has ordered a pilot for her potential spinoff series. ABC's greatest comedy is getting a spinoff, yes The Middle and it'll be starring the talented Eden Sher per The Hollywood Reporter. This is all early news but it's still great news nonetheless because so many of us wanted this. Fresh off The Middle's nine-season run and May 22 series finale, the Disney-owned broadcast network is near a deal for a spinoff revolving around Eden Sher's Sue Heck. The network is said to be considering a pilot order for the comedy, which like the flagship, the hails from Warner Bros. Television and The Middle creators DeAnn Heline and Eileen Heisler and their studio-based Black and Blondie Productions banner. ABC and Warner Bros. TV declined to comment as deals for the series are not done. A logline was not immediately available. Also still to be determined is if the spinoff will be a single-camera comedy (like the flagship) or a multi-cam, with the latter format becoming all the rage on broadcast following Roseanne's ratings success. Deadline reports it's for midseason consideration. Also, talks about a Sue-centered Middle spinoff started several months ago; that is why Sher did not entertain any pilot offers this past season. Any other characters you hope show up in the spinoff? Share all your thoughts in the comments below. Deals with Sher, Heisler and Heline are still being finalized for the potential comedy series, which would be centered on Sher’s Sue character. I hear the new show will be set a few years in the future from The Middle finale, chronicling the next stage of Sue’s life as a young adults with a new cast of characters around her.